4 Beds 2 Baths 2,098 Sq. ft.
Ready, set, show! 4/2 situated on wooded lot w/partially fenced yard...Step into tiled foyer which leads to formal living and dining areas. Seller is using dining area as office. The fully equipped kitchen w/stainless steel appliances & bar top is open to breakfast nook and family room w/nice wood burning fireplace. Pretty wooded lot catches your eye from family room and master retreat. Split floor plan w/secondary bathroom opened to both hallways leading to secondary bedrooms. Home has been well maintained. Master bedroom has spacious walk-in closet & en suite bathroom w/double sinks, garden tub & separate shower. Indoor laundry room, 2-10 Supreme home warranty, HVAC-2018, covered back porch, high ceilings, wall to wall carpet & ceramic tile throughout. See supplement for more., Stove, Dishwasher and Micro all replaced in 2018. 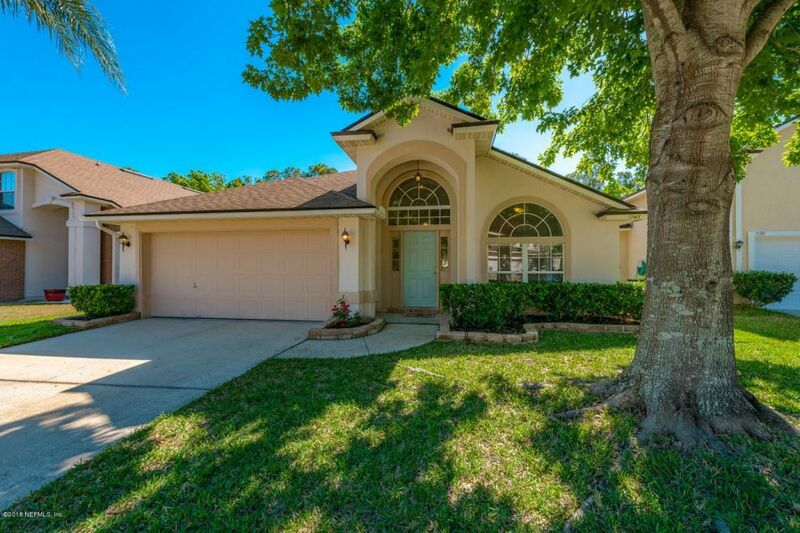 Close by to schools, shopping, retail, dining, JIA, downtown, St Johns Town Center, NS Mayport, Blount Island, I295 so easy access to wherever you want to go. Due to kiddos, Seller requests a 3 hour notice to show. May be flexible but please plan accordingly. Ideal closing timeframe for sellers - 6/18/18. Directions: From Atlantic Blvd, Head North On Kernan Blvd. T/R Onto Kernan Forest Blvd. Stay Straight Thru Roundabout (2nd Right), T/L On Forest Creek Dr, House On The Right.